It is especially noteworthy when we find a city such as Enoch that the Bible ties to the pre-flood period that the Sumerians identified as existing after the flood. For one thing, it indicates the limited scope and breadth of the flood itself. Conversely, Erech, mentioned by the Bible in the post-flood period, has been excavated to reveal a culture dating to 4200 BC, over a thousand years before the flood. Likewise, Ur, the home of Abraham's youth, had pre-flood beginnings, and was contemporary with Eridu. Furthermore, Asshur built Nineveh after the flood (Gen. 10:11) on an ancient, existing city site dating to the pre-flood era that had been called "Ninua" before the Semites arrived. This illustrates that at least four biblical cities dating to the pre-flood era were resettled by Sumerians and Semites after the flood. 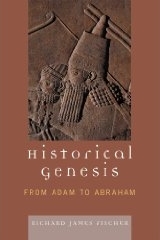 Thus we have further confirmation that the entirety of Genesis 2-11 is confined to the Mesopotamian environs, both the pre-flood and the post-flood periods; and at the very earliest, none of Adam’s generations were born before 7,400 years ago. Sumerian king lists also recorded the longevity of their sovereigns. In the pre-flood period, they reigned for legendary thousands of years. After the flood, kings reigned for hundreds of years tapering off to mere mortal proportions in later periods. The trend jibes with Genesis. Although the tablets are recorded in Sumerian, some of these kings bear Semitic (Adamic) names. Cain’s son Enoch is the only explicit pre-flood example given by the Bible, though extra-biblical information by way of the Sumerian king lists infers other patriarchs also were kings. But Enoch fits the motif of long-lived, non-Sumerian rulers who reigned over Ubaidan and Sumerian subjects. Nimrod and Asshur are biblical post-flood examples. Jubilees records Noah’s wife’s name as Emzârâ, daughter of his cousin Râkê´êl, suggesting some Adamic ancestry for her at least on her father’s side. The wives of Shem, Ham and Japheth respectively were Sêdêqêtêlêbâb,Nê´êlâtamá´ûk, and ´Adatan´êsês, and according to Jubilees towns near to the ark’s landing site were named for them. We have no clues about the ethnicity of these women except to say the names definitely are not Hebrew.